Wow your clients! Be the best Massage Therapist you can be. At Next Level Massage Education, we believe a massage Continuing Education workshop should be highly informative, interactively hands-on, fun, and have a focus on remembering human anatomy. 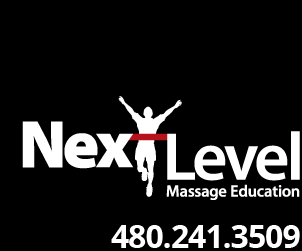 Each of our workshops will give you skills you need to take your massage “to the Next Level."